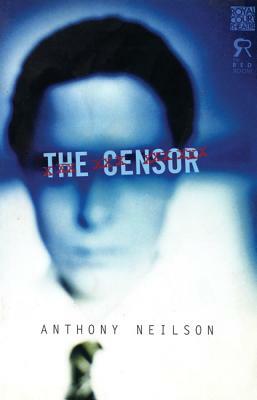 "With controversy raging over "Crash," the Cronenberg movie with an eerily hypnotic take on the dark limits of our common sexuality, feisty young dramatist Anthony Neilson gives us in "The Censor" a gripping, brief encounter between a pornographic film actress and the man with the licensing scissors. A moving parable of the critic and artist as a healing, and finally tragic, love story." --Michael Coveney, "Daily Mail"
"As clever and considerably less loaded than Oleanna and as topical as Popcorn. It is more unsettling than both, but in its own weird, urgent way almost beautiful." --Lyn Gardner, "Guardian"
"This is a profound and tragic vision of humanity at its bare, forked basics." --Patrick Marmion, "Evening Standard"
"The play's extraordinary power comes, ironically, entirely from restraint ... I've seen nothing finer this year." --Carole Woddis, "Glasgow Herald"
"The Censor" premiered at the Finborough Theatre, London, in association with The Red Room in April 1997 and subsequently transferred to the Royal Court Theatre.